SESALY O. STAMPS is a Shareholder in the Tucson office of DeConcini McDonald Yetwin & Lacy, P.C. 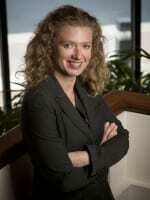 Her practice emphasizes commercial litigation, employment law, and education law. In addition to the State Bar of Arizona, Ms. Stamps is admitted to practice in the Federal District Court of Arizona and the Ninth Circuit Court of Appeals. Ms. Stamps has a range of commercial litigation experience at both the trial and appellate level, representing large corporations, small businesses and individuals. Ms. Stamps also provides legal representation to employers, school districts and community colleges involving day-to-day advice on a variety of issues including personnel questions, policy matters, contractual disputes and student issues. She has successfully defended against discrimination complaints filed with the Arizona Civil Rights Division and the Equal Employment Opportunity Commission. Ms. Stamps also provides training to employers and schools on a range of issues such as how to prevent and address sexual harassment and other forms of discrimination in the workplace and how to deal with online bullying and other social media challenges. Ms. Stamps is a member of the Arizona Council of School Attorneys and she volunteers for the Employment Advice Clinic at Southern Arizona Legal Aid. Ms. Stamps also serves on the board of the Tucson non-profit organization Make Way for Books.